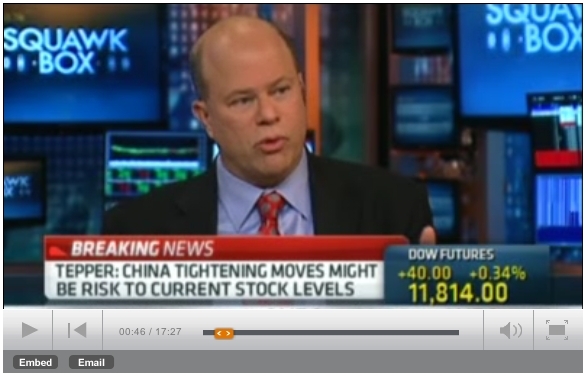 In a wide-ranging interview on CNBC, hedge fund guru David Tepper offered his take on the market and particular sectors, industries, and asset classes. Tepper says the U.S. stock market looks good right now, and he’s high on semiconductor stocks and likes several financials. Tepper says that “so much uncertainty has been alleviated”, and also says currencies and gold are “tough” areas to invest right now.